One of the many highlights during my first trip to Las Vegas for CES many moons ago was a vending machine that sold electronics (iPods, headphones, speaker docks and so forth). The idea of automating the purchase of such items made a lot of sense and had me questioning why other industries hadn’t taken advantage of the concept. Carvana, a technology startup founded in Phoenix in 2013, has embraced the vending machine idea in a way that’s sure to grab attention (and hopefully, customers). 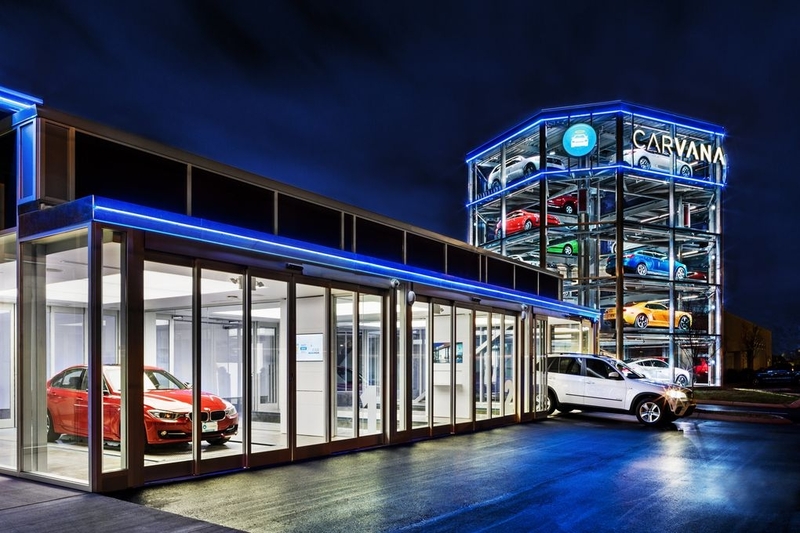 The online auto dealer has created a five-story, 20-car vending machine that customers use to select and “deliver” vehicles they’ve recently purchased. Located just outside of Nashville, the car vending machine is an incredibly cool concept although there’s no denying that it’s also a clever marketing gimmick. Customers drop an oversized custom coin into the vending machine which tells the robotics which vehicle to pluck and transport to one of three customer delivery bays. Carvana maintains that in addition to a unique buying experience, the vending machine allows the company to employ fewer staff and maintain less inventory, thus reducing how much lot space is needed and drastically reducing its overhead. The savings are passed on to the consumer as the company claims it sells cars for an average of $2,000 less than the competition. They’ll even give you a $200 travel stipend if you don’t live near Music City but want to experience the process in person.